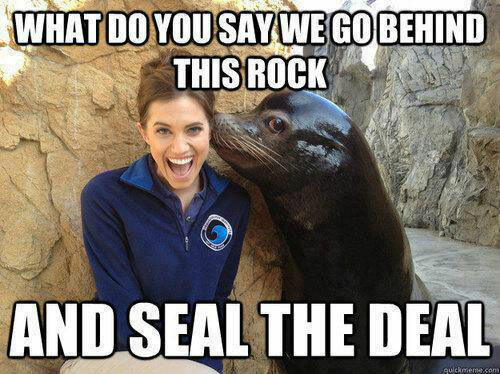 What do you say we go behind this rock and seal the deal? Created about 6 yrs, 3 mths ago (January 4, 2013). Updated about 6 yrs, 3 mths ago (January 4, 2013).